A New Take on the iconic TM delta Custom in a stealthy Black finish. 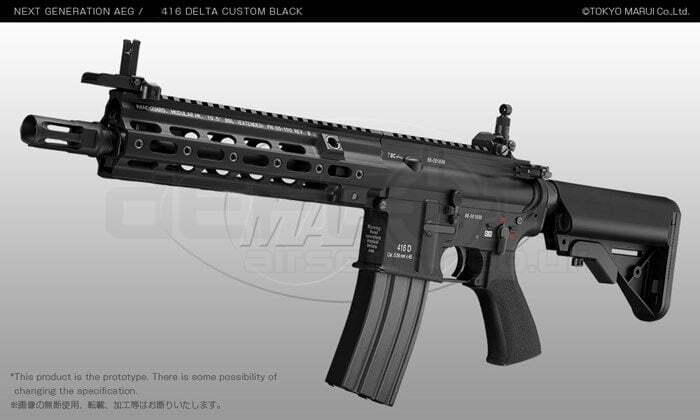 The TM416 DELTA is an assault rifle based on the real steel weapon tailored by Delta Force. It uses the AR-15 system, initially conceived as an improvement to the Colt M4 carbine family released to the United States armed forces. 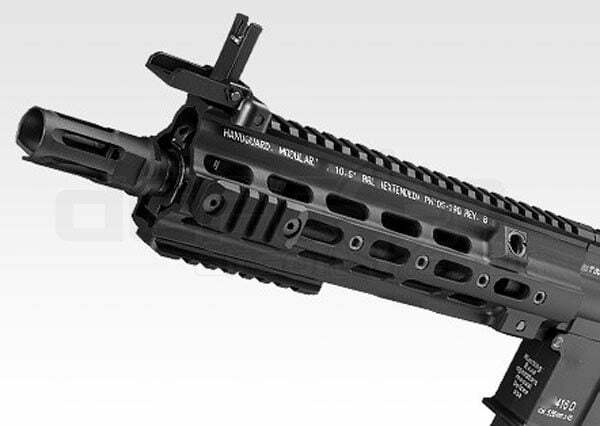 Military and police buyers have the alternative of acquiring a brand-new top receiver, buffer and also drive spring to recondition existing AR-15s or acquire brand-new rifles from the original manufacturer. 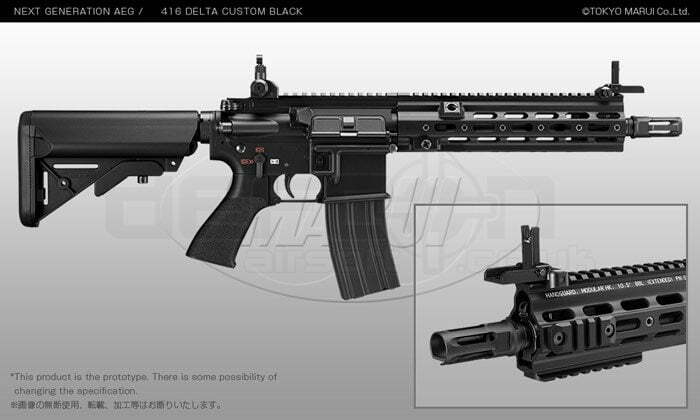 The United States Navy SEALs (Group 6) used this model of weapon to neutralise Osama bin Laden in Abbottabad in 2011. 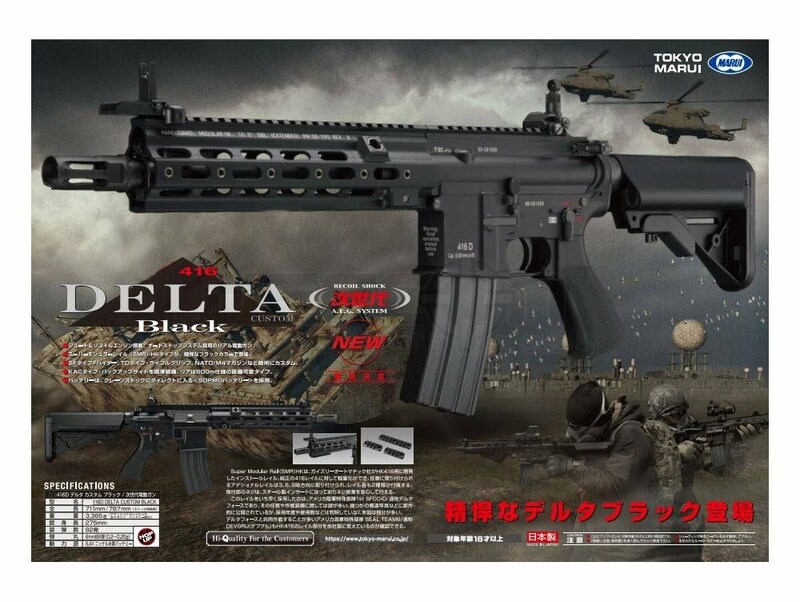 Semi & Totally Automatic Shooting mode. 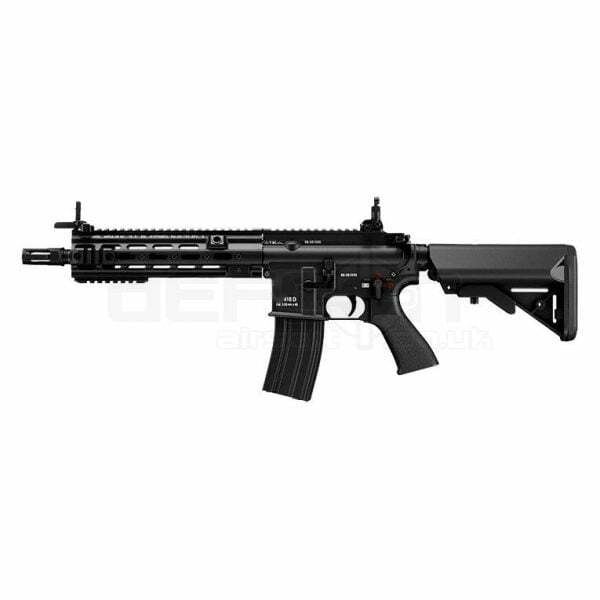 Electric Blowback powered by Next Generation RECOIL SHOCK AEG System Transmission. 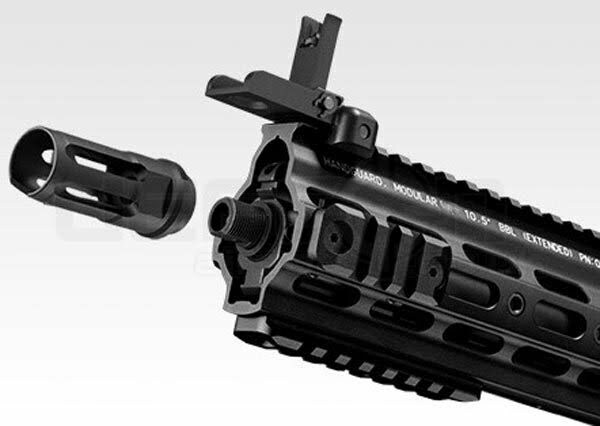 250mm Steel Outer Barrel With 60mm Flash Hider (14mm CCW). 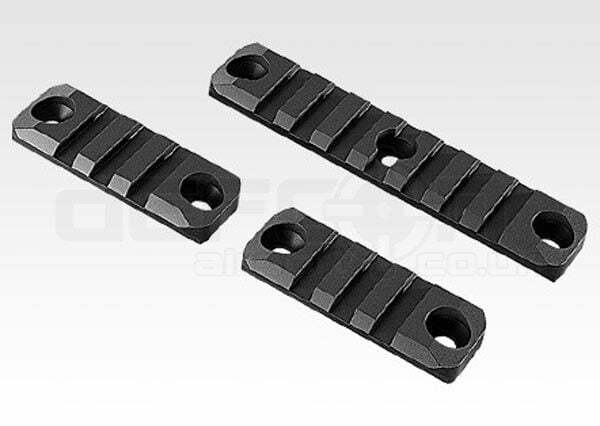 Metallic Handguard With 2x Short 20mm Rail (55mm) & 1x Length 20mm rail (95mm). 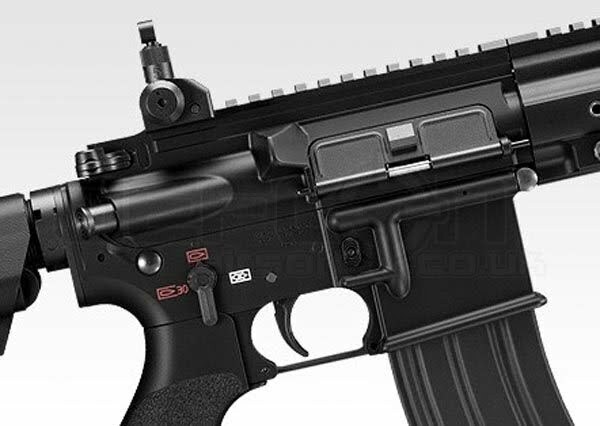 Detachable Front and Adjustable Rear Steel Sight. Steel 82 Rounds mag (This fits various other Tokyo Marui Next Gen M4s).